REGISTRATION IS NOW CLOSED. NO tickets for this event are available on site. 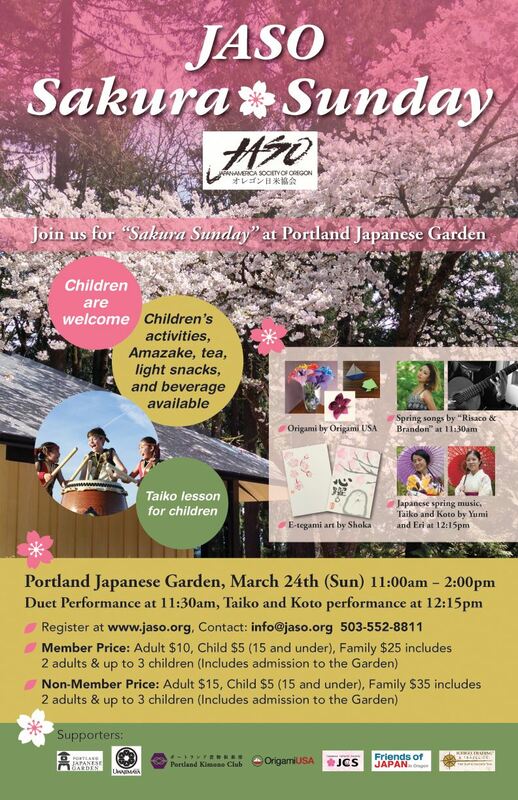 Please join JASO “Sakura Sunday” at Portland Japanese Garden. Children are welcome. Children’s activities, light snacks, Japanese tea tasting and more! NOTE: Please purchase your tickets in advance, there is no tickets available on March 24.